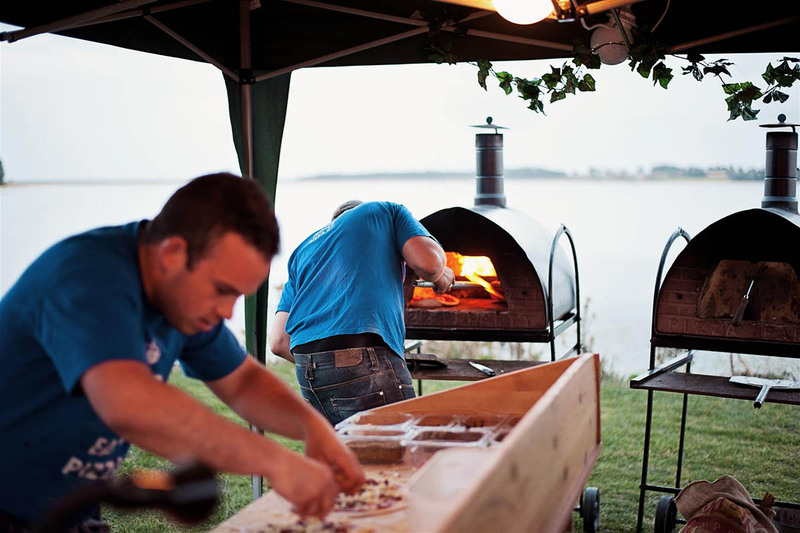 Our mobile wood-fired pizza ovens can be set up almost anywhere. 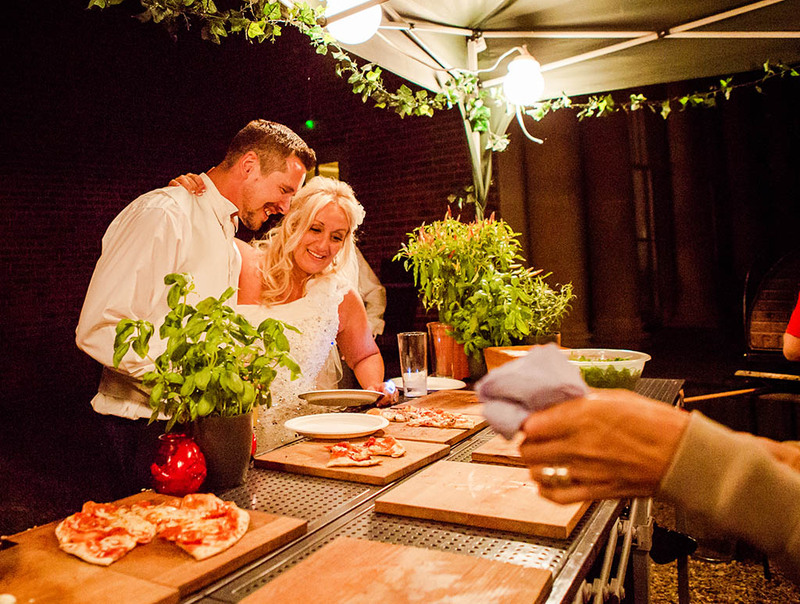 We make our pizzas by hand in front of your guests, and the glowing wood fire will really add a touch of magic and romance to your big day. 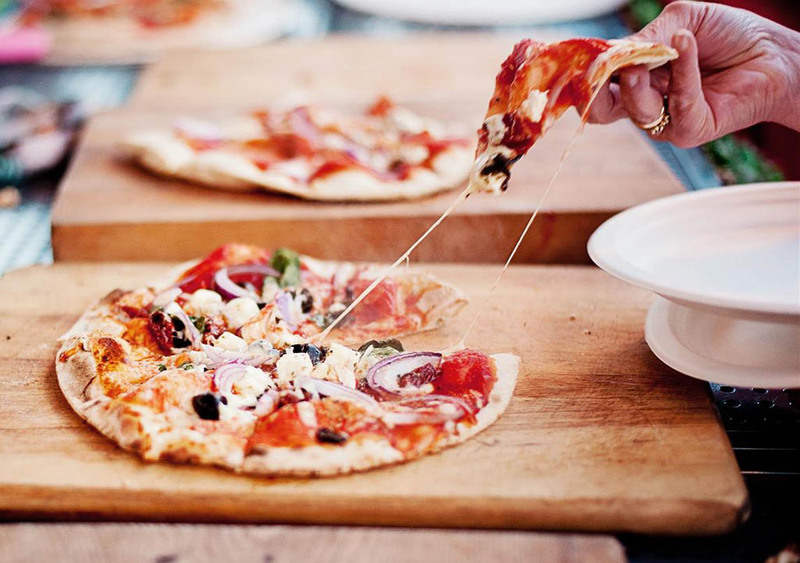 Our wood-fired pizza buffets offer something for everyone. 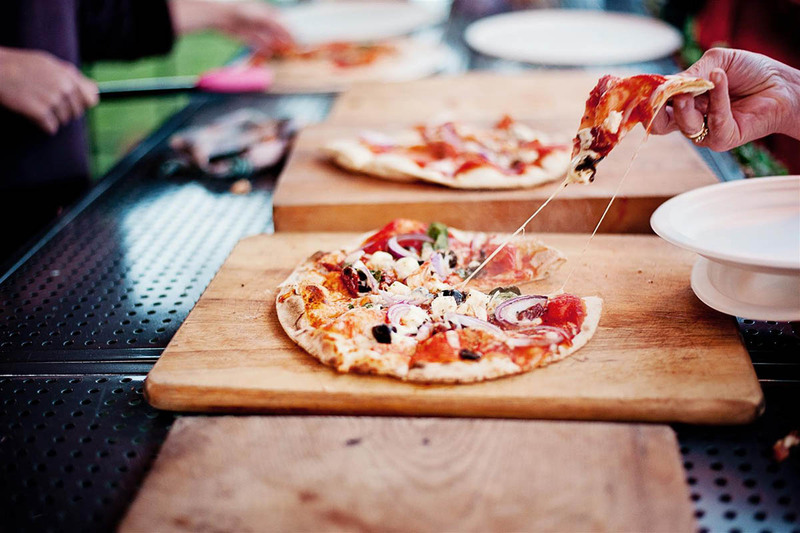 A variety of different pizzas will be available, accompanied by fresh salads and side dishes and a mouth-watering smell that will draw your guests to the buffet table over and over again. 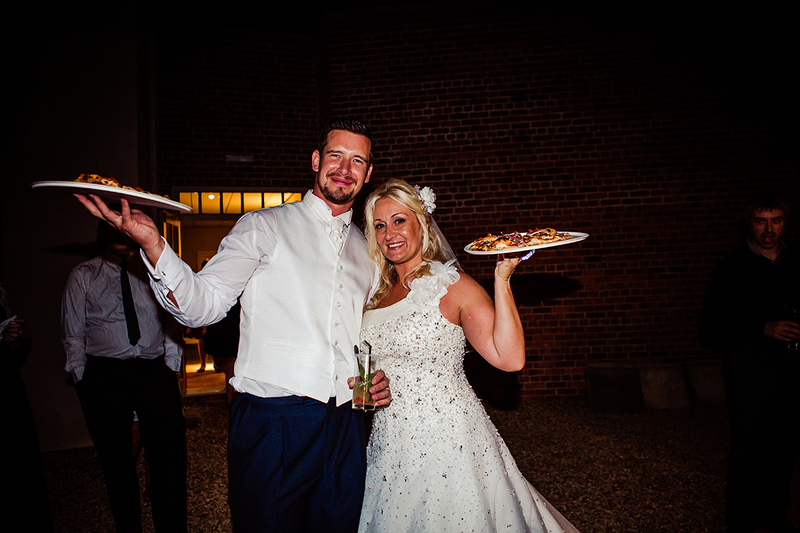 A very popular choice for wedding receptions, our wood-fired pizza buffet is a great way to feed a large group in a relaxed and informal way and always creates a buzz of excitement wherever we go. 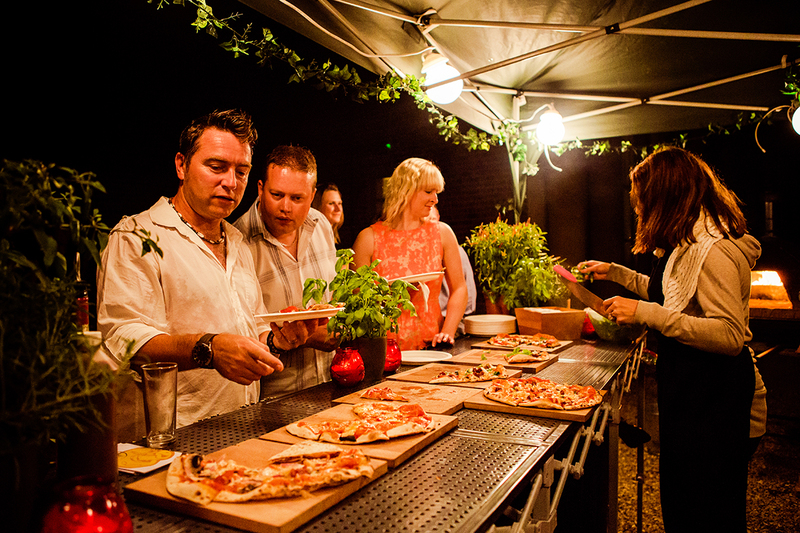 For our standard pizza buffet, prices start at £12.50 a head for a minimum of 50 people. If you’d like to chat about your requirements, please give us a call on 07901 536709. Our three-course menus start with mouth-watering antipasti platters, featuring your favourite olives, cheeses, meats and breads, all served on olive wood boards and decorated with edible flowers and micro herbs. For the main course choose from a selection of pizzas served to tables, slow cooked wood fired meats such as pulled pork, roasted fish and vegetarian options, accompanied by freshly made salads and side dishes of your choice. When it comes to dessert, we like to keep things simple and classic — think strawberries and cream, Eton mess, homemade chocolate brownies, seasonal baked fruit or delicious Norfolk ice cream. Prices start at £29.50 for our three course menu. All our menus are bespoke and are created with the client so please call or email for more info. 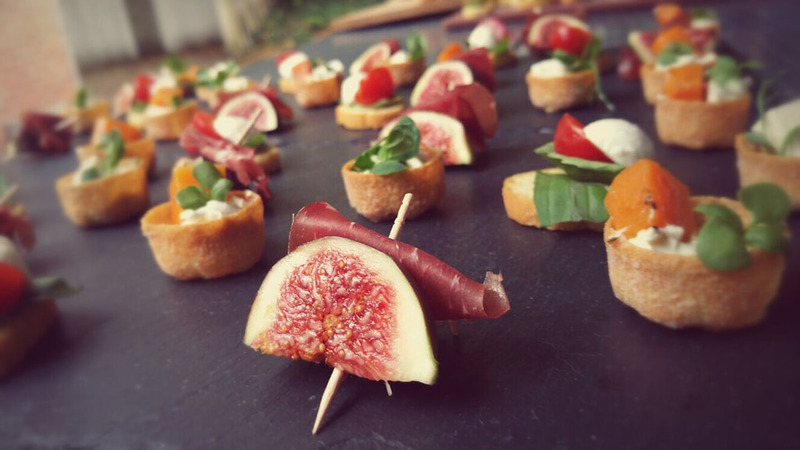 Delicious hand-made canapés are a new addition to our catering options and we have plenty to choose from. 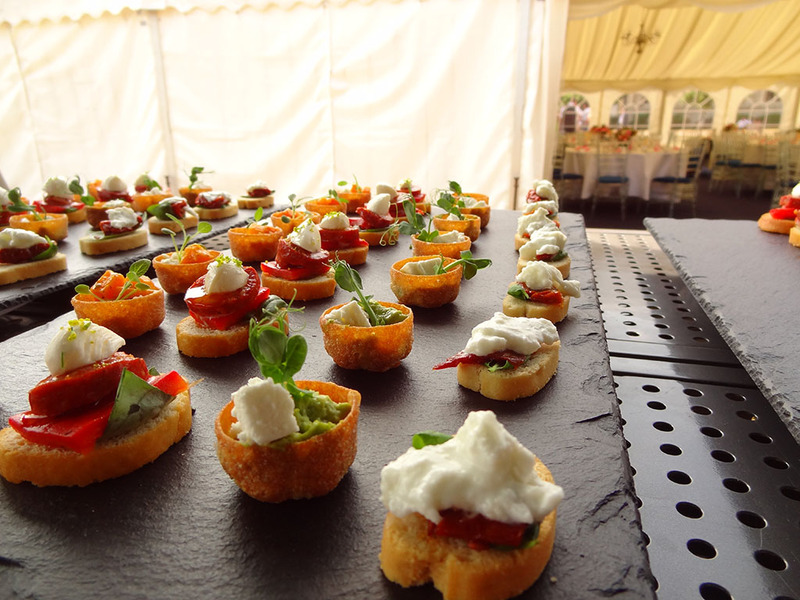 Assembled fresh on site by our chefs and served on black slate platters with edible flowers and micro herbs, they are the perfect way to start off your day while your guests enjoy a glass of fizz or two. Prices start at £6.50 per head. Please contact us for a menu and check out the gallery page for more pictures. Planning a wedding is stressful enough without worrying whether your mother-in-law is a pescetarian or if your cousin’s children will eat vegetables. 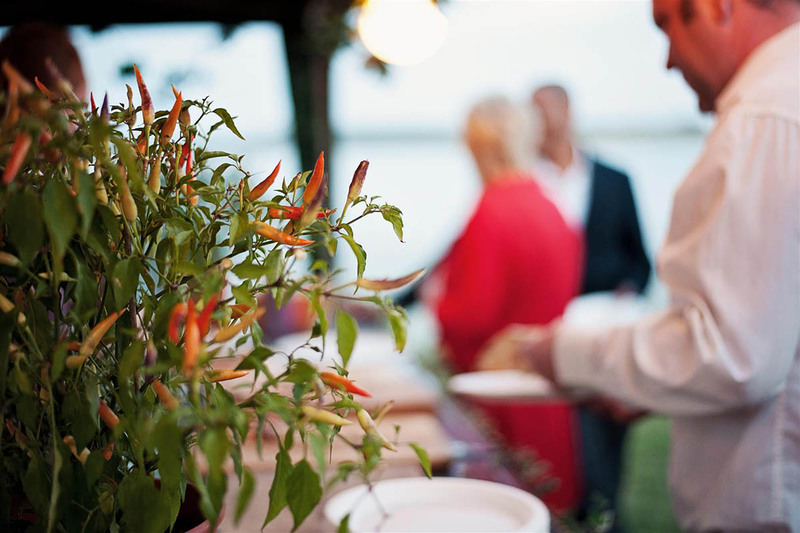 Our wood-fired catering options take the worry out of wedding catering, and ensure that there’s something for everyone, from the grandparents down to the under-fives. We’re happy to go the extra mile to make your wedding day truly special. If you would like custom-made menus for your wedding, or themed pizzas with personalised names and toppings, just let us know in advance! Dietary requirements such as gluten free, dairy free or vegetarian can all be catered for on request. Please call or email us info@pizza-party.co.uk for more information or to discuss your requirements.